Despite a promising start to his career, 1. 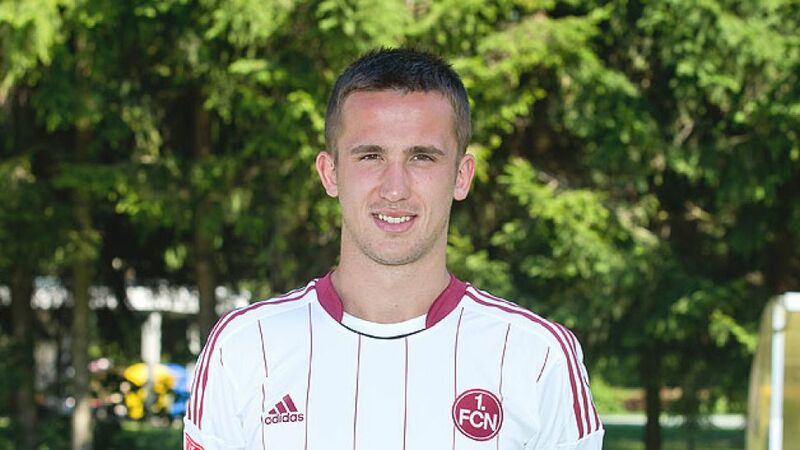 FC Nuremberg's Czech striker Tomas Pekhart was something of a late arrival to professional football. Impressing for local sides TJ Susice and TJ Klatovy, he joined Czech Premier League side Slavia Prague in 2003. Here he progressed well through the youth ranks, prompting English Premier Division side Tottenham Hotspur to sign him in 2006. He impressed in London, finishing as top scorer in the club's academy team in 2006/07. In August 2008 he was loaned out to English second division side Southampton, playing nine league games and scoring once against Ipswich Town, his only goal in English football. On returning to Tottenham he found first team opportunities limited and returned to previous club Slavia Prague on loan in January 2009. Further spells at Jablonec and Sparta Prague followed, before he moved abroad again, when Dieter Hecking brought him to 1. FC Nuremberg in July 2011. In his first season in the Bundesliga the powerful striker managed a respectable nine goals for der Club. A full Czech Republic international since 22 May 2010, Pekhart also featured for his country at the UEFA Euro 2012, helping the side to a quarter-final finish.